WorldStage became one of the first companies to use d3 Technologies’ media servers with new Video Format Conversion Quad DVI output cards for a live event in the US when it deployed the equipment during the fall edition of New York Fashion Week. The event marked the tenth anniversary of a major designer with a celebratory avant garde video screening following his runway show. 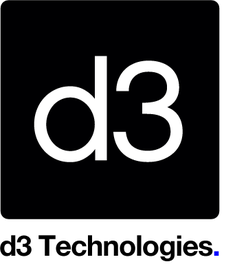 WorldStage is a long-time supporter of both Fashion Week and d3 Technologies. For the designer’s anniversary event WorldStage provided one main and one backup d3 4x4 pro with four VFC Quad DVI output cards, which fed 9 sets of Christie Digital HD20K-J series projectors. The Quad DVI cards, which enable users to drive up to 16 DVI outputs from a single 4x4pro system, allow large, multi-projector shows to be delivered with fewer machines and no downstream splitter devices. This reduces cost, rack space, set up time and complexity without adding any signal latency. VFC output cards are an industry first with no other media server on the market offers the ability to easily transition from HD to 4K.